Artisanal cheeses, beers, spirits and fermented food and beverages are growing in popularity, and small entrepreneurial businesses are flourishing. Improvements in accessible training options across Australia are required to support the growth in these industries, and to ensure the manufacture, distribution and sale of safe, wholesome and consistently high-quality products. Artisanal cheesemaking, brewing and distilling, and, food and beverage fermentation were identified as key skill priorities in the 2018-2021 Food, Beverage and Pharmaceutical IRC Skills Forecast and Proposed Schedule of Work (see pages 61-68). In addressing these skill needs, this project will identify and fill gaps in current qualifications, skill sets and units of competency from the FBP Food, Beverage and Pharmaceutical Training Package to address food safety and manufacturing processes in these growing niche food markets. Skills Impact and the Food, Beverage and Pharmaceutical Industry Reference Committee (IRC) will manage this project, consistent with the 2012 Standards for Training Package Development. This project will identify and fill gaps in current qualifications, skill sets and units of competency from the FBP Food, Beverage and Pharmaceutical Training Package to address food safety and manufacturing processes in the growing artisanal cheesemaking, brewing and distilling, and, food and beverage fermentation markets. A focus of the project will be to develop qualifications that address the complex, multi-faceted skills required to safely produce products for these growing niche markets. Scroll down to view the qualifications and skill sets proposed for development, and the units that will be developed to cover gaps in job roles and skilled activities. As part of the development process, Skills Impact will conduct a number of activities to support industry involvement, including sourcing Subject Matter Experts to form a Technical Advisory Committee, facilitating face-to-face consultation workshops and webinars, and conducting site visits. Subscribe to the Skills Impact newsletter to keep informed about project updates and opportunities to provide input and feedback. Make sure to select ‘Food, Beverage & Pharmaceutical’ as your industry of interest on the subscription form. Development of new qualifications and skill sets to support cheesemaking, food and beverage fermentation, and brewing and distilling. Specific skill needs not covered by existing units of competency from the FBP Food, Beverage and Pharmaceutical Training Package will either be imported from other Training Packages, or, in cases where no other units are available in any other Training Package, new units will be developed. Below is a list of the qualifications and skill sets proposed for development, and the units that will be developed to cover gaps in job roles and skilled activities. This project seeks to address the complex, multi-faceted skills required to safely produce various products for these growing niche markets. The following skills and knowledge requirements have been identified, which may provide the basis of new units of competency. Working with living cultures and organisms. Brew a wide variety of styles. Manage a team to achieve suitable production and quality outcomes. Keep records and document excise information. FBPOPR2014 Participate in sensory analyses. Stakeholder input is appreciated throughout the duration of this project. The documents will be drafted in consultation with Subject Matter Experts and their networks. Opportunities to provide targeted feedback will occur when the draft materials are made available in February 2019, and again for validation of final drafts in March and April 2019. However, your feedback is welcomed at any time, and will help us in drafting the qualifications, skill set and units. It is important that training provides a skilled and flexible workforce for the future. The qualifications, skill sets and units need to reflect real work experience. So if you work in the sector, Skills Impact would love your input and help. Please feel free to register your interest for project updates and consultation opportunities by following the newsletter subscription link below. Alternatively, please feel free to contact the project manager, Danni on 03 9321 3526 or dmcdonald@skillsimpact.com.au. The Food, Beverage and Pharmaceutical Industry Reference Committee (IRC) will oversee this project, as part of their responsibilities to support engagement with the sector, and to ensure projects meets industry stakeholder needs. Initial development work on this project has begun. The team is currently holding workshops with stakeholders and subject matter experts from cheesemaking, brewing, distilling and other fermented product sectors to identify job roles, current gaps in training for these sectors and future trends for the industry as a whole. Feedback from a broad range of stakeholders was also sought through surveys that were made available on this webpage from 30 October – 11 December 2018. Thank you to those who completed the surveys. Your contribution towards this project is appreciated and is important to help identify the skills and knowledge required to perform job roles in the artisanal food and beverage sectors. The information gathered will help determine where new qualifications, skill sets and units of competency may be developed, to assist with addressing training gaps within these sectors. Thank you to those stakeholders that have been involved in the project and provided feedback and advice so far. Draft qualifications, skill sets and units will be made available on this webpage for public consideration and feedback from February 2019 (under the ‘Drafts Available’ menu above). Face-to-face consultation workshops will also take place across states and territories, with two webinars planned for those unable to attend in person. Registrations for these workshops are now open. Please feel free to register for a workshop near you by clicking the corresponding link. We would like to hear from those working in artisanal food and beverage workplaces to let us know if the identified job roles and skills have been addressed in the qualifications and units. We would also like to hear from trainers and assessors who may be interested in delivering these new qualifications and units, to get their feedback about the proposed documents and how they would be implemented in a training environment. Click the ‘Project Plan’ menu above for more information about the project scope, timeline, deliverables, project contacts, and the list of the qualifications and skill sets proposed for development, as well as the units that will be developed to cover gaps in job roles and skilled activities. Feedback is sought on additional changes made to the Certificate IV in Fermented Food and Beverages, as well as two new skill sets and nine new units of competency. 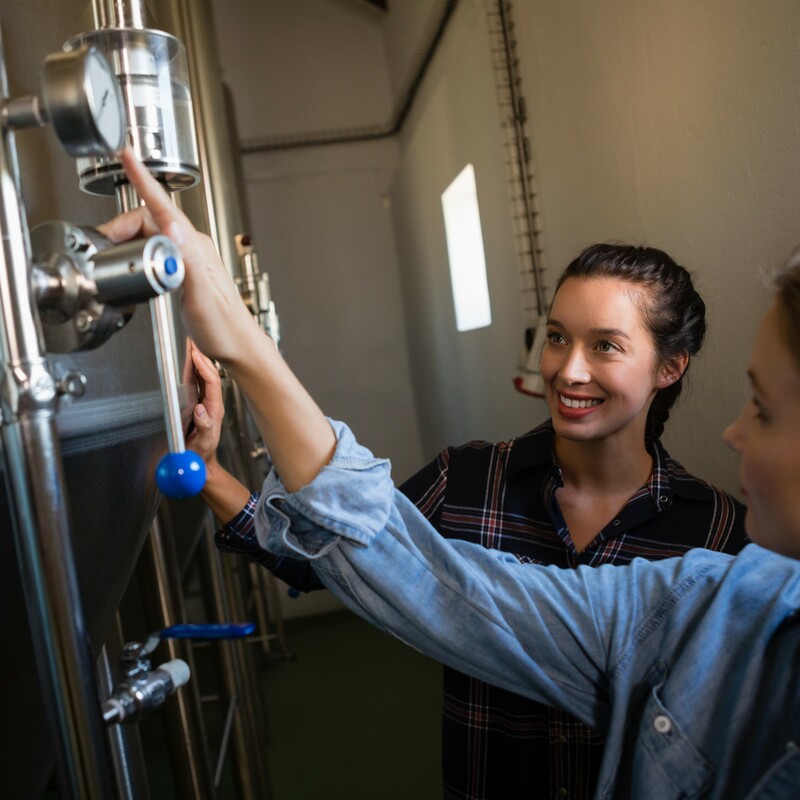 The changes are based on feedback received on the draft qualifications, skill set and units that were made available from 29 January – 4 March 2019, covering artisan brewing, distilling, cheese making and fermenting. We are seeking your feedback on whether the draft qualification and units reflect the current skills standards and practices of industry, and whether job functions are accurately described. Please find the drafts listed below, divided into groups for ease of consultation. Feedback to date has indicated overall support for a qualification in brewing and distilling. However, the list of core and elective units in the draft of the qualification were not yet meeting industry needs. As such, nine new units are proposed for development to address key skill areas, including units to strengthen specialisations in brewing and distilling, and a unit in fermented meat products. Considerable changes have also been made to the qualification, including updating the title and increasing the list of units to include the new units. Two additional skill sets around preparing and presenting artisan food and beverage products for a retail setting, and producing fermented foods have also been developed. These proposed new units, skill sets and qualification will be available for broad public feedback until 30 April 2019. A description of how feedback has been considered and applied in these drafts can be downloaded below. Please click the ‘Download Summary of Feedback, Responses and Actions’ button. In a country with an abundance of high quality food products, training opportunities in artisan food production are still limited. For example, some aspiring Australian cheesemakers are travelling internationally to learn the advanced skills they need. Industry want the next generation of artisan food producers to be able to access this training in Australia with nationally recognised qualifications. Skills Impact spoke to Emma De Souza, Production Manager Grandvewe Cheeses, about her experiences becoming a cheesemaker and why the project matters so much to her. 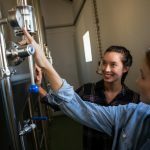 “This project is an important first step to ensuring future cheesemakers of Australia can access training,” says Emma. Please note: these draft documents have been developed in addition to the draft qualifications, skill sets and units that were made available from 29 January – 4 March 2018 (including the Diploma of Artisan Cheese Making). Further details are under the ‘Initial Drafts’ heading below. All draft documents will be made available once more for a Validation period, which is anticipated to be in May. The view the documents, please click on the expandable menus below. 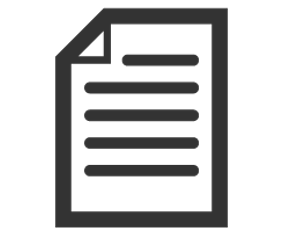 Find and view the draft document(s) you would like to review by clicking on the expandable document menus below. Click the ‘view and provide feedback’ link next to the qualification, skill set or unit. You will be asked to register or login (this is a free account), follow the prompts. FBP4XX19 Certificate IV in Artisan Fermented Food and Beverages Designed for those producing fermented food and/or beverage products, this qualification offers specialisations in brewing, distilling and fermentation. Alternatively, you can email your feedback to dmcdonald@skillsimpact.com.au. These units provide skills and knowledge relevant to multiple food and beverage sectors, including artisanal food and beverage production. These units are proposed for inclusion in the new Certificate IV in Fermented Food and Beverages as part of the Brewing specialisation available in the qualification. The units provide skills and knowledge relevant to the brewing of artisan beverages. These units are proposed for inclusion in the new Certificate IV in Fermented Food and Beverages as part of the Distilling specialisation available in the qualification. The units provide skills and knowledge relevant to the distilling of artisan beverages. These units are proposed for inclusion in the new Certificate IV in Fermented Food and Beverages as part of the Fermentation specialisation available in the qualification. The units provide skills and knowledge relevant to the fermentation of artisan foods. Thank you to those who provided feedback on the initial draft qualifications, units of competency and skill sets made available on this webpage for stakeholder review from 29 January – 4 March 2018. These documents will be made available for Validation and further comment once the additional units have been reviewed, which is anticipated to be in May. Feedback was collected via the online feedback hub, face-to-face consultation workshops and webinars. To view the draft documents, including comments that were made on them from people using the feedback hub, please click on the expandable document menus below. Face to face meetings and webinars were held with subject matter experts in November and December to identify job roles, current gaps in training for artisanal food and beverage production, and future trends for the industry as a whole. Site visits were undertaken at a number of facilities to get an up close account of the processes covered by this project. Subject matter experts have continued to be consulted throughout the development of the draft materials. These skill sets address targeted skills areas within artisan food and/or beverage production, and provide pathways to a number of FBP Food, Beverage and Pharmaceutical qualifications. These units are suitable for use in both of the proposed new qualifications. They provide skills and knowledge relevant to multiple food and beverage sectors, including artisanal food and beverage production. These new units have been developed to address gaps in skills common across multiple sectors within artisanal food and beverage production. These units have had minor updates to make them more flexible for inclusion in the proposed new qualifications. FBPTEC4009 Identify the physical and chemical properties of materials, food and related products Identifying the physical and chemical properties of materials, foods and related products within a production environment. Included ‘beverages’ in Element 1. Removed ‘Malliard’ tests in KE. Note: the following units have been identified as possibly being suitable for inclusion in the proposed new qualifications Certificate IV in Fermented Food and Beverages and Diploma of Cheese Making. These units have not had any changes made to them. Rather, Skills Impact is seeking feedback as to whether these any changes are required to the units to ensure they address skills needs in artisanal food and beverage production. These new units have been developed to address gaps in skills in artisan brewing production. FBPCEL3005 Operate the pressing process Preparing and operating pressing equipment used in fermented beverage production. Unit Application and Assessment Conditions updated to include ‘beverage production’. These new units have been developed to address gaps in skills in artisan distilling production. These units are proposed for inclusion in the new Diploma of Cheese Making. The units provide skills and knowledge relevant to the producing artisan cheeses. These new units have been developed to address gaps in skills in artisan cheese making. These units are proposed for inclusion in the new Certificate IV in Fermented Food and Beverages as part of the Fermentation specialisation available in the qualification. The units provide skills and knowledge relevant to the brewing of artisan beverages.